Update (April 27, 2018): The Boeing security guard injured in the crash remains in the hospital, according to reports. A 40-year-old military veteran, he was originally in critical condition at Harborview Medical Center. He has since improved to serious condition with traumatic spinal and head injuries. 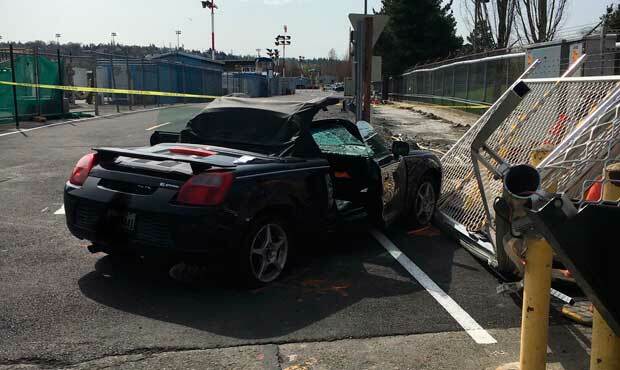 A man was injured Monday morning when a car being chased by police crashed through a gate at the Boeing plant in Renton, Renton Fire Department officials said. Police said an assault on an employee at Gene Coulon Memorial Beach Park turned into a police chase. Police were pursuing the car as it crashed through the gate and struck a 40-year-old man near North 7th Street and Logan Avenue North. The man was rushed to Harborview Medical Center in Seattle in critical condition. The driver of the vehicle was also injured, police said. He was detained. Police chases kill hundreds of people — including police officers, alleged criminals and innocent civilians — each year in the United States. The wrongful deaths and personal injuries caused by a police chase makes them one of top causes of car accidents. Statistics show that about two-thirds of those injured or killed in fatal accidents stemming from a police chase are innocent drivers and pedestrians that have nothing to do with the chase. The suspect: The dangerous driving behavior in a police chase is seen as a breach of the duty of care owed to other motorists. 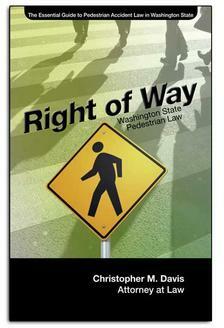 The suspect may be held liable for the accident if they collided with a car or person, or their actions caused injuries. These catastrophic events often caused emotional damages as well, which the suspect may be liable for. Law enforcement: While more difficult than pursuing compensation from the suspect, claims against law enforcement are possible. If your or a family member has been injured a collision with a police car, or the car's maneuvers made things dangerous, a claim may be possible. Government departments: Local municipalities where the police departments are located may be liable for injuries in a police chase if there weren't protocols and safeguards in place to prevent the behavior, or if the crash resulted from the failure to train officers in chase procedures. If you or a family members has been injured in a car accident that was caused by a police chase, it may be in your best interest to contact an attorney to represent you. Since 1994, attorney Chris Davis and the legal team at Davis Law Group, P.S., has been geared primarily towards auto accident claims. We know how the insurance companies work, so let our insider knowledge help you in your time of need. If the intentional actions or negligence of another person have caused injury to you or someone you love, or have led to damaged property, we can help you seek compensation. Call Davis Law Group today at (206) 727-4000, use the chat feature on this page or fill out the form below for a free, no obligation case evaluation. If we take your case, we don't get paid until you win. You have rights; we're ready to help. Contact our offices right away.